Stihl Shop Coffs Harbour is located in Isles Drive in Coffs Harbour. 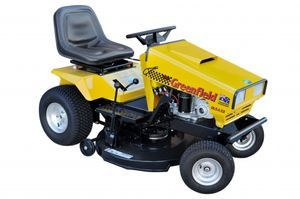 We offer a huge range of outdoor power equipment including: Ride On Mowers, push mowers, brushcutters, line trimmers, blowers and blowervacs, vacuum cleaners, pruning tools, chainsaws, pole pruners, hedgetrimmers and much more. If you need it in your garden or on your farmer or for your work, we have a quality machine to do the job. We sell quality products from leaders in the industry: STIHL, Greenfield, Grillo, Ferris, Briggs and Stratton, Simplicity, Victa, Masport, Sanli, World Guardian and Murray just to name a few. We have a one stop accessory shop selling everything from a file for your chainsaw chain, oil for your BrushCutter or a Trailer to pull behind your ride on mower, you can purchase online through our new online web store, No STIHL PRODUCTS are available for mail order and need to be purchased in store where our qualified staff will assemble, fuel and oil your machine. We also offer a free demonstration service in our local area so that we can ascertain the correct ride on for your property. If purchased as a mail order online prices do not include freight please contact us before purchasing to obtain a quote for freight. New Stihl Product - The TSA230 cordless Cut off Machine. Emission free cordless Technology ensures clean work both indoors and outdoors. Australia has some of the toughest mowing conditions in the world and Greenfield Mowers are built to handle just about everything, from the beautifully manicured lawn to the tougher more demanding terrain that other mowers couldn't even dream of attempting Greenfield Mowers really are "Built Tough For Australian Conditions"
Greenfield 17.5HP Briggs and Stratton Professional Series Engine. 32 inch Alloy Deck. *5 Year Warranty applies to Domestic Ride On Mowers conditions apply.